Encourage great work with Terryberry’s AwardPoints employee rewarding program. The employee point reward system continuously motivates individuals to do their best work. It also allows members of management to express appreciation for employee contributions and commitment with an employee performance reward. 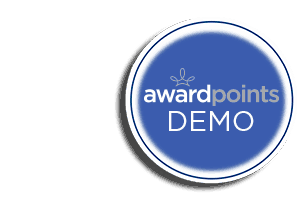 Register for the live, FREE demo of AwardPoints to see first hand how to incentivize employees with a performance-based points system. This webinar does not qualify for recertification.